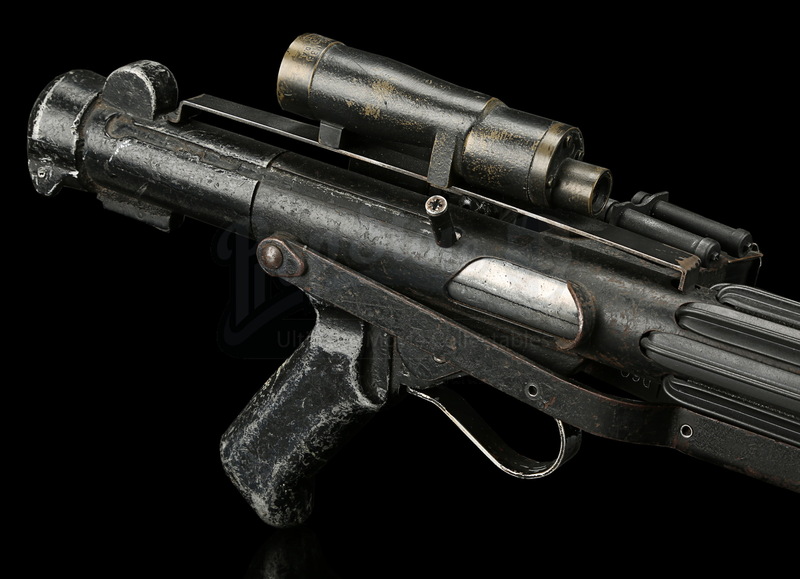 A stormtrooper blaster from George Lucas’ 1977 sci-fi adventure Star Wars: A New Hope. 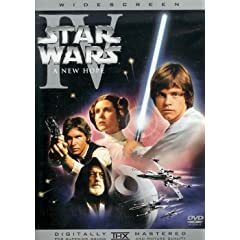 Farmhand Luke Skywalker (Mark Hamill) teams up with a Jedi Knight, a roguish pilot, a Wookiee and two droids to save Princess Leia (Carrie Fisher) from the evil Darth Vader (David Prowse/James Earl Jones), and ultimately save the galaxy. 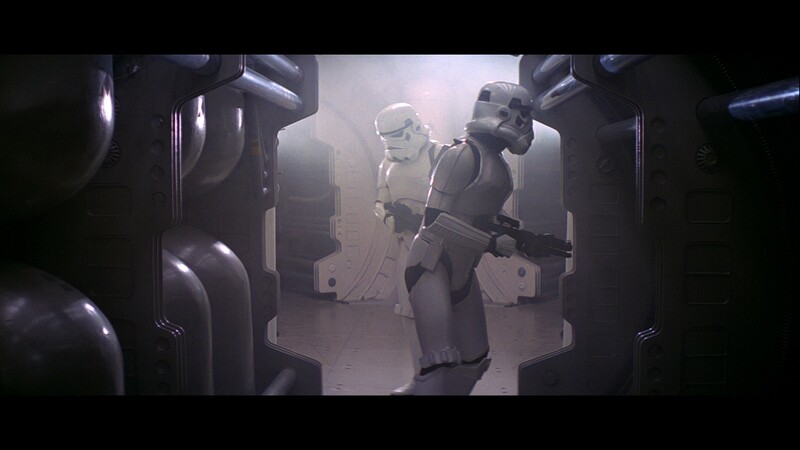 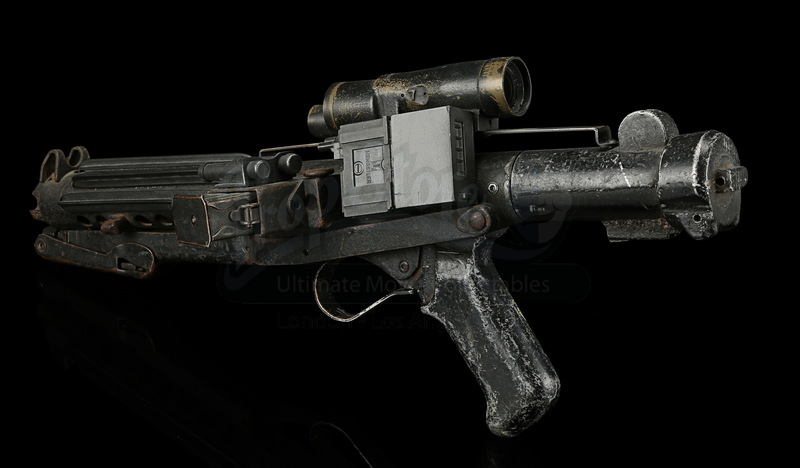 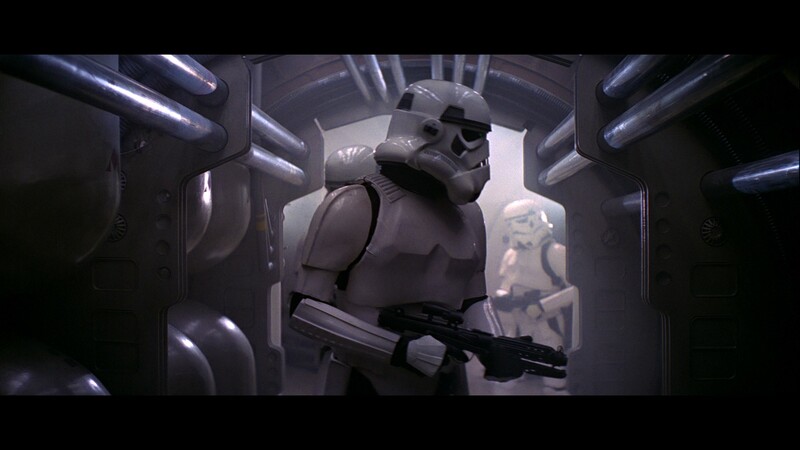 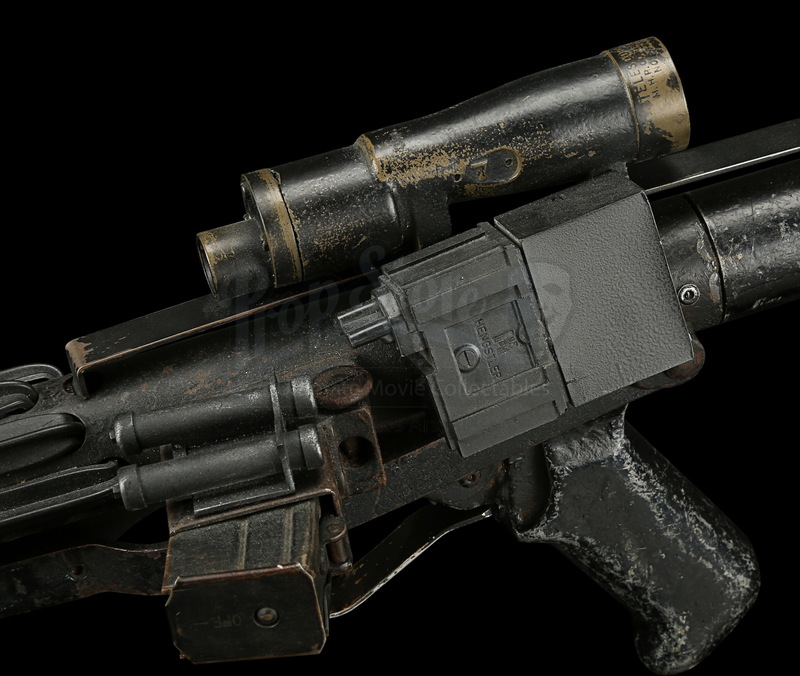 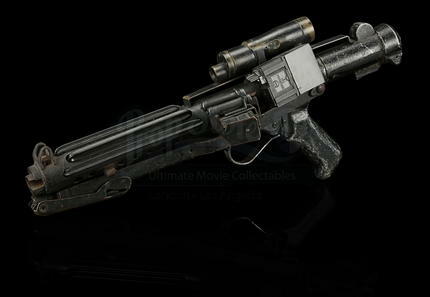 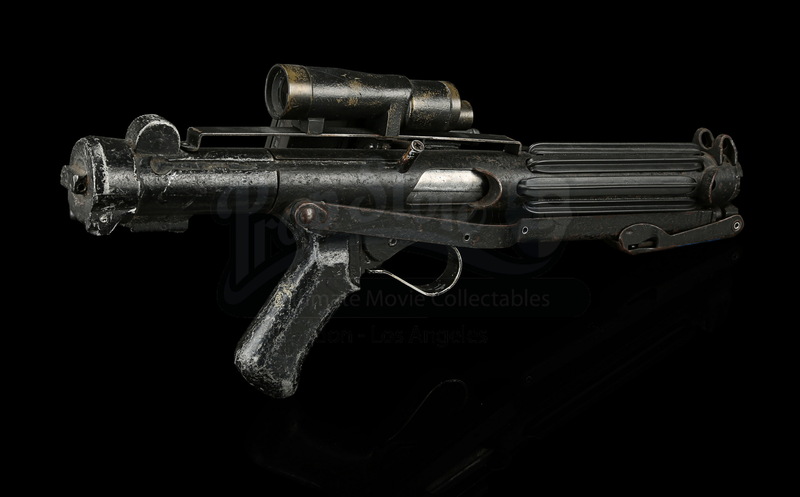 E-11 blaster rifles were used by stormtroopers as they hunted the missing droids carrying the Death Star plans and battled the Rebels on the Death Star. 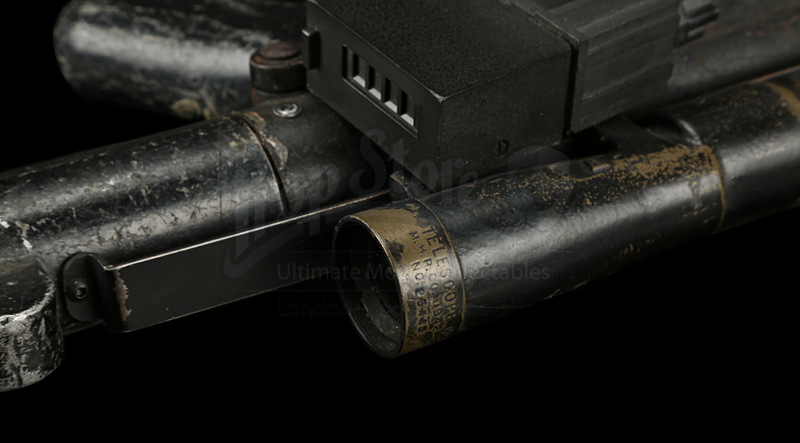 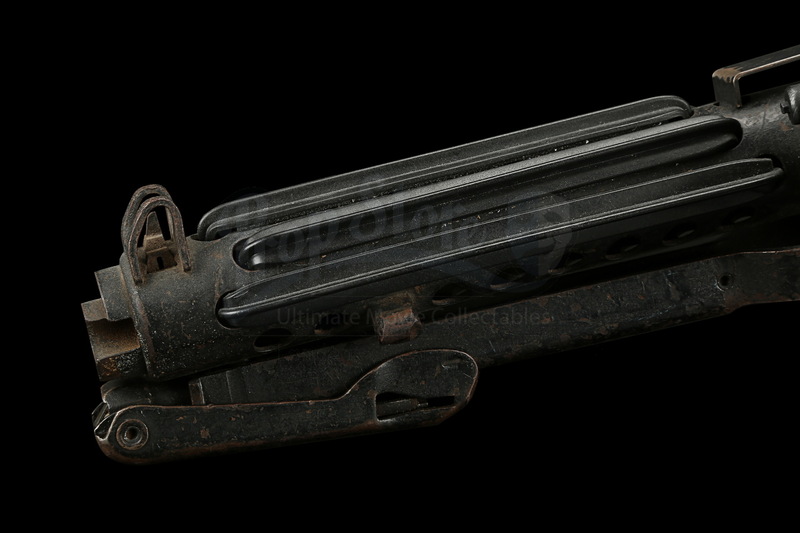 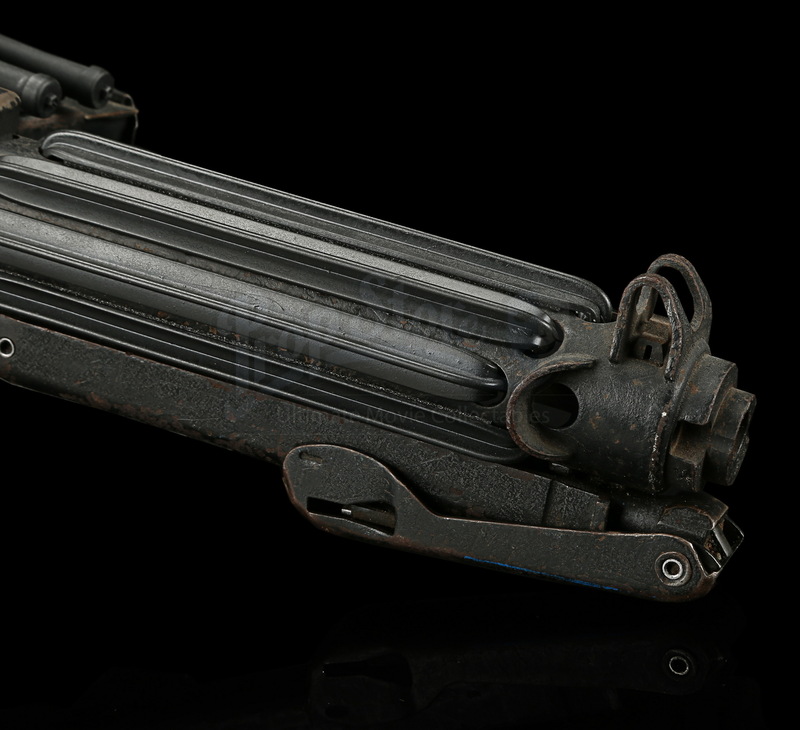 These instantly recognisable blasters were specifically fabricated for the first Star Wars film by renowned armourers Bapty, who also created weapons for The Empire Strikes Back. 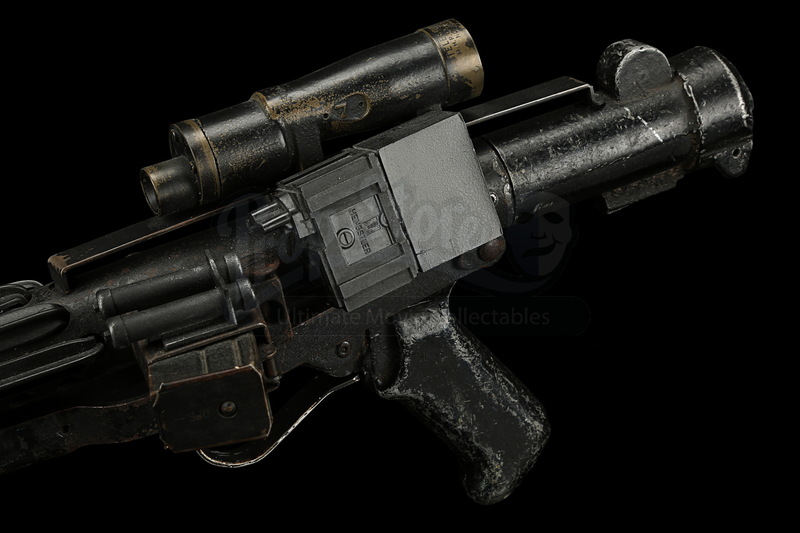 Finished in black paint, the blaster comprises a Sterling body tube containing a central wooden dowel barrel and custom aluminium components, which replace the receiver, magazine well, stock, pistol grip and trigger guard. 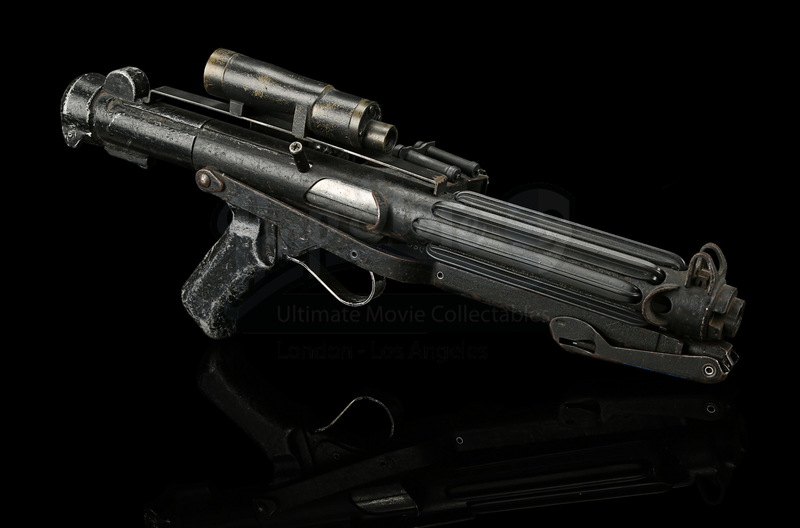 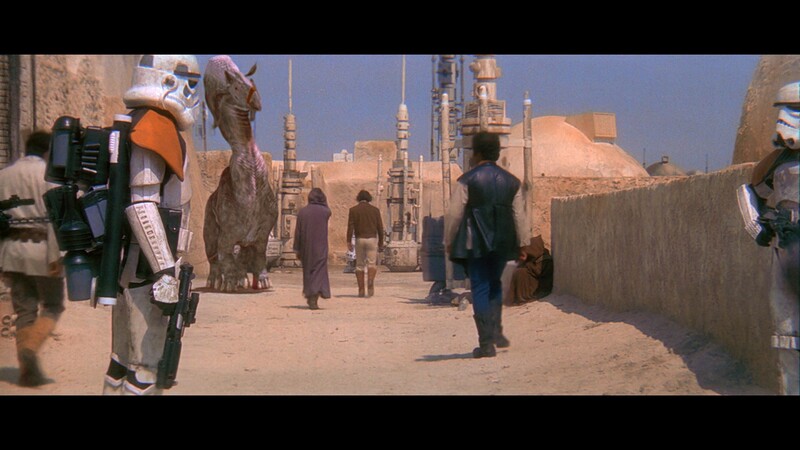 A large number of the weapons were ultimately returned to Bapty after A New Hope wrapped. 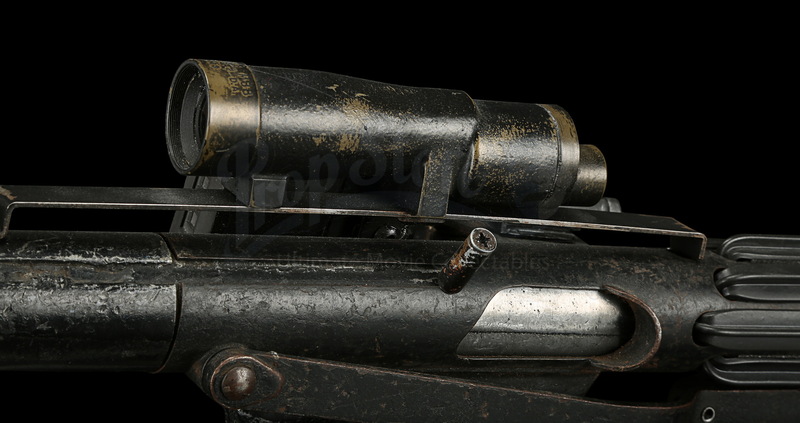 When rediscovered many years later in the Bapty armoury, the weapon had been stripped of various parts, and has subsequently been carefully restored by The Prop Store. 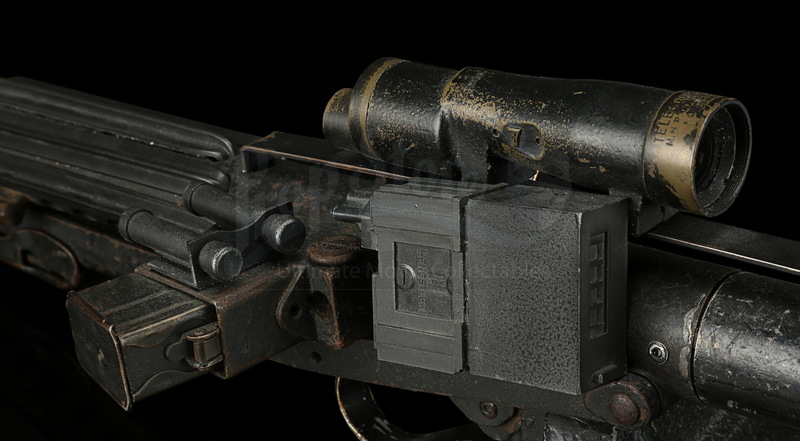 The restored pieces include a resin M38 scope, a steel scope rail made to the exact same dimensions as original scopes found at Bapty, plastic “T-track” strips along the barrel, magazine cylinders and a Hengstler counter box adhered to one side. 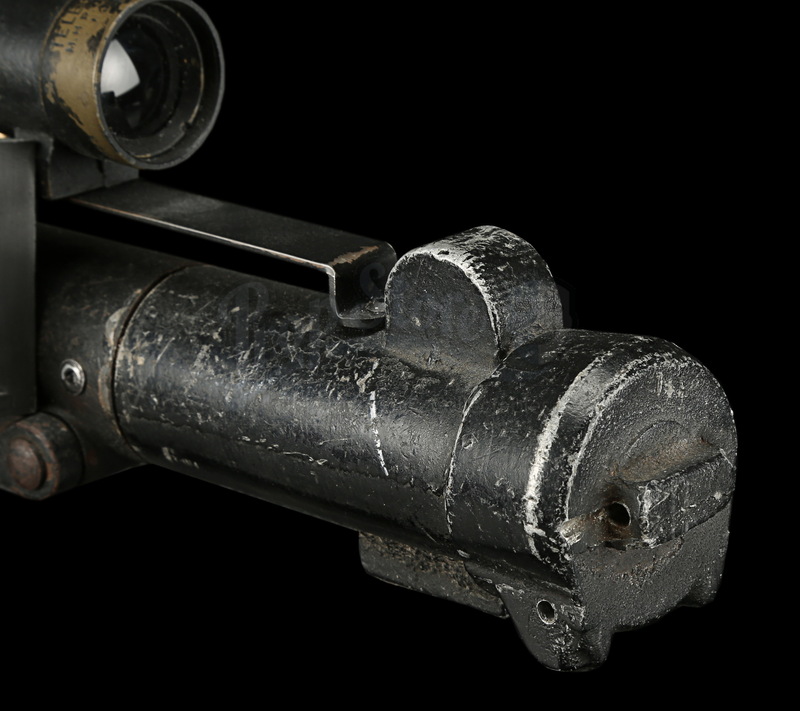 The blaster displays signs of production use and age, including minor corrosion, paint wear and marks, notably on the grip. 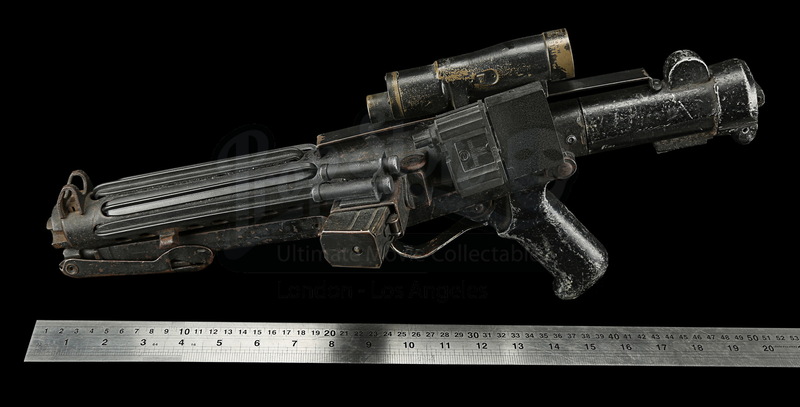 Materials: Ferrous Metals, Resin, Plastic.